LAKE PLEASANT – (Lake elevation 1,672 feet, 67 % full). Surface water temperature have been around 84 in the river and 86 degrees in the main lake. Surface boils have started up again, some days in the Agua Fria arm (mostly smaller stripers), although some larger fish are starting to show as well. This is the time to take a kid fishing at Pleasant — they can catch fish and have fun even with smaller stripers. Try a jigging spoon in deeper water for bigger fish. Scooter Griffiths from The Arizona Fishing Guides said Wednesday that the lake has been hit or miss with stripers but the largemouth bass bite is still consistent with a dropshot or Senko-type bait in the deep trees. Many stripers also had been cruising in around 50-60 feet of water recently. Remember that stripers and excellent eating and there are unlimited bag limits at this lake. As summer goes along, shore anglers will have a tougher time reaching bass, which move deeper. Best bet right now for shore anglers is fishing at night by the marina, or targeting carp and catfish. BARTLETT LAKE – Lake elevation is 1,794 feet, feet, 94 % full. Water temperature has been up to 88 degrees. Our water quality monitoring this week showed there was no oxygen below 26 feet deep. Scooter Griffiths from The Arizona Fishing Guides said Wednesday that the lake has been great for high numbers of largemouth bass with crankbaits and some top-water lures during the morning and slow-moving baits as the sun gets high such as Texas-rigged brush hogs and crawdad imitations. Successful techniques for some anglers from a recent Midweek Bass Anglers tournament reported successful techniques for largemouth bass fishing have been crankbaits, TRD Ned Rigs, black Westy worms, Texas rigs, flick shakes, Carolina rigs, and jigs. The dropshot rig produced the most consistent bite for some anglers, including a 4-inch black and chartreuse Power Worm just after dark. The crankbait bite has been particularly productive just after dark as well, although some anglers have had success throwing cranks during the day. Target ledges, points and small islands. In general, the typical summer pattern holds true — fish shallow early and deeper as the sun comes up using dropshots, Texas rigs, etc. But do not fish more than 20 feet deep — most bass are in no more than 20 feet of deep where there is no oxygen. Previously, Gary Senft of the Mesa Bass ProShops fished the lake frequently and said this has produced the most consistent bass fishing in the Phoenix region. Bass have been biting more frequently during bright moons (especially full or half) and cloudless nights. In theory, this would make fishing the daytime this weekend during a new moon an advantage. Try night fishing throwing Texas rigged or dropshot-rigged plastic worms over points and islands in 4-18 feet of water. Also, jigging crawdad plastics has been effective in 4-5 feet of water. Use dark colors at night — especially during full moons. ROOSEVELT LAKE — (2,120 feet, 65-percent full). The Roosevelt Lake water level currently stands at 65% full. The Salt River flow increased recently due to the recent monsoon rains and is flowing at 200% of its normal rate for this time of year or abut 600 CFPS. The Tonto Creek is flowing above its normal rate of 50 CFPS. Summertime bass fishing conditions on Roosevelt Lake are being reported as good. The water temperature on both Roosevelt and Apache Lakes is dropping due to lower night-time low temperatures and is now in the mid 80’s during the warmest time of the day. Top water and reaction baits have been reported successful as well as a drop-shot and Carolina-rig technique. Crappie fishing has been called poor recently with a few reports that anglers are finding small schools of crappie in the 20 to 25 foot depth. A vertical fishing technique, a light line and a small 2″ grub-tail bait tipped with a minnow is the most effective summer crappie fishing technique. Scooter Griffiths from The Arizona Fishing Guides reported Wednesday that bass fishing has been good with most fish comes via a dropshot rig in 10-15 feet of water. He’s been seeing a few fish chasing bait early in the morning when the water is moving. Anglers can catch them on jerkbaits and top-water lures. Angler success has still been dependent on if water is released from Canyon Lake into Saguaro. The upper end of Saguaro has been good while water is released. Some anglers are having success with average-to-large largemouth bass using swimbaits (shad patterns) and crankbaits. Crawdad imitations at night also have been effective. The water is muddy but the bite can be good with spinnerbaits (try gold or copper blades) and top-water frogs. Work the spinnerbait just quickly enough to feel the blades working. Bass fishing remains above average for this time of the year for Canyon. Typical summer pattern is in effect — top-water lure early in the morning, and dropshots and Texas rigged worms as the sun comes up. Richard from Liar’s Corner reported numerous 5- and 6-pound largemouth bass being caught, and verified that bass fishing seem to be exceptionally good. Scooter Griffiths from The Arizona Fishing Guides said Wednesday that the lake (as well as Roosevelt) is going strong for largemouth bass with some top-water action early in the morning — look for birds to find schools of fish and watch your graph for the deeper schools and drop a spoon down for some exciting action. COMMUNITY FISHING WATERS — See the latest Community fishing news. Catfish stockings are on hiatus for the summer. Keep in mind that some parks close at hours designated by their respective city. Be sure to consult the latest CFP guidebook for closing times at spots such as Steele Indian School Pond, Surprise Lake, Pioneer Lake, Rio Vista Pond, Friendship Pond, Bonsall Pond, and Tempe Town Lake (closes on the marina side). HORSESHOE LAKE – Lake elevation is 1,958 feet (6-percent full). The lake has risen 3 percent during the past week. When the lake is full, there are a lot of spawning fish. No new reports. LOWER SALT RIVER – On Thursday afternoon, the river was flowing at 410 cfs out of Stewart Mountain. The final trout stocking of the season was 3 weeks ago. This time of year if you want to catch trout, try fishing in any of our stocked streams including Silver Creek, East Fork Black River, Little Colorado River in Greer or Show Low Creek, just downstream of Show Low Lake. Fishing here should be excellent/good. Flows are high due to monsoon season so use caution. Woods Canyon and Willow Springs should also have good fishing. Try fishing about 10 feet down. If trout aren’t biting in in-town lakes, try fishing for catfish, bass, bullhead, or sunfish! *Questions about roads, campgrounds, fire restrictions, and wildfires should be directed to the Apache-Sitgreaves National Forests. BEAR CANYON LAKE – Fishing is fair. This lake was stocked last in June. Try PowerBait and nightcrawlers a few feet down. 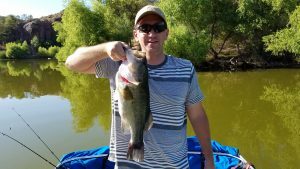 BLACK CANYON LAKE – Fishing is fair. This lake was stocked last in June. Try PowerBait and nightcrawlers a few feet down. The top water is warm. The lake is a few feet down and the new boat ramp is still fully functional. There may be silt and logs coming into the lake from the Gentry watershed that burned as part of the Gentry Fire earlier this summer. Watch to flash floods in the area. CHEVELON LAKE – Fishing is fair for rainbows and large wild brown trout. Catchable rainbow trout were stocked in early May. Chevelon Lake is a hike in lake with a two trout limit. WILLOW SPRINGS LAKE – Fishing is good/fair for rainbow and tiger trout. The lake will be stocked this week. Try PowerBait with garlic, worms, or Roostertail spinners for rainbows; and try Kastmasters, small Rapalas, Panther Martin spinners, or flies for tiger trout. Also, try fishing about 10 feet down for trout, the surface water is getting warm and the bottom has little to no oxygen. WOODS CANYON LAKE – Fishing is good/fair for rainbow and tiger trout. The lake will be stocked this week. Try PowerBait with garlic, worms, or Roostertail spinners for rainbows. 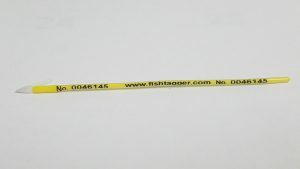 Try Kastmasters, small Rapalas, Panther Martin spinners, or flies for tiger trout. If the trout aren’t biting, green sunfish are easily caught along the shoreline rocks on worms. Also, try fishing about 10 feet down for trout, the surface water is getting warm and the bottom has little to no oxygen. FOOL HOLLOW LAKE – Fishing is fair for stocked (12”+) rainbow trout! Supercatchable rainbows (12”+) were last stocked two weeks ago. Fish about 10-15 ft down for trout. The lake level is still fairly high. Fishing pier and platforms are accessible! Bass and large catfish are also being caught. Try to catch sunfish on a size 12 hook with a small piece of worm in rocky or weedy areas, or black bullhead on the bottom with a size 6 hook and a half or full worm. RAINBOW LAKE – Fishing is poor for stocked (12”+) rainbow trout. Stocking is done here for the year. The lake level is a few feet down and the weeds are starting to come up in portions of the lake. Tolling in the main channel is still doable, but the weeds are present. If the trout are not biting, try to catch sunfish on a size 12 hook with a small piece of worm in rocky or weedy areas, or black bullhead on the bottom with a size 6 hook and a half or full worm. The White Mountain Bass Fishing club recently adopted the lake and cleaned up trash along the public shoreline. Please don’t leave your trash around! SCOTT RESERVOIR – Fishing is fair for stocked rainbow trout. Try for catfish with a worm or chicken liver on the bottom. SHOW LOW LAKE – Fishing is fair for stocked (12”+) rainbow trout. Supercatchable size (12”+) rainbow trout were stocked two weeks ago. Fish about 10-15 ft down for trout. The lake level is still fairly good. New facility improvements, including a new fish cleaning station, new restrooms, stairs from the upper parking lot down to the boat launch, and ADA boat trailer parking are now open! Try to catch sunfish on a size 12 hook with a small piece of worm in rocky or weedy areas, or black bullhead on the bottom with a size 6 hook and a half or full worm. WOODLAND LAKE – Fishing is poor. Fish were last stocked in late-May. The fishing dock is accessible. Try to catch sunfish on a size 12 hook with a small piece of worm in rocky or weedy areas, or black bullhead on the bottom with a size 6 hook and a half or full worm. PATTERSON PONDS – Fishing is good for catfish! Channel catfish were stocked last month! A regular fishing license or a community fishing license is required to fish here. The pond daily bag limits in community fishing waters (2 trout; 2 catfish; 5 sunfish) apply. Please use good catch and release methods if you are releasing fish, many fish have been found dead due to improper catch and release methods. If the gills are bleeding, the fish will die. Cut the line if the hook has been swallowed or is stuck. BECKER LAKE – Fishing is fair. Becker Lake is open to catch-and-release only for trout, artificial fly and lure only; single barbless hooks only. No bait. No trout may be kept. Large rainbow trout are being caught nymph fishing under a strike indicator at 10-12 feet. Tiger trout are also being caught. Fishing is on and off however. BIG LAKE – Fishing is fair for rainbows, but good for cutthroat trout. Rainbow trout were stocked in last month. Try flyfishing for cutthroat trout in the shallows. You can use a fly with a casting bubble if you don’t own or know how to use a flyrod. CARNERO LAKE – Fishing is poor. Spring fish surveys showed large healthy 20” rainbows and 15”+ tigers. There was an unconfirmed report of an 18” tiger trout caught recently. Some fish have been found dead at the lake due to low oxygen levels. There are spots in the lake that have good oxygen levels, usually where there is no aquatic vegetation. Fish in the afternoons in these vegetation-free areas. 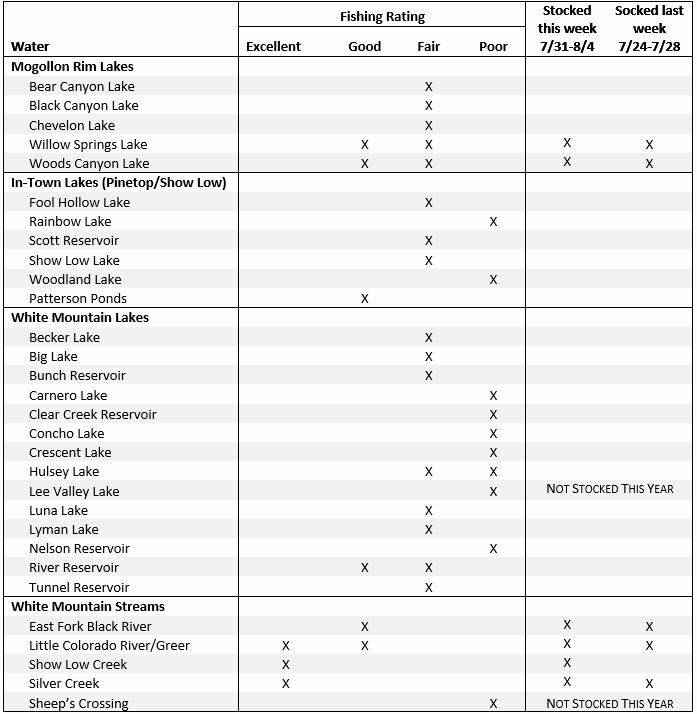 CLEAR CREEK RESERVOIR – Fishing is poor for trout, but fair/good for sunfish, bullheads, and bass. Trout were last stocked in mid-May in the narrow near the county facilities (just downstream of the bridge). CONCHO LAKE – Fishing is poor. Trout were last stocked in April. Try catching catfish. CRESCENT LAKE – Fishing is poor. pH levels are high and lake is weedy. Spring surveys showed good holdover numbers on brook trout and carryover rainbow trout (16in). The lake was also heavily stocked with more brook trout and rainbow trout. Fishing pier and boat docks are accessible! Stop here before you get to Big Lake in the morning, you might be surprised! We look forward to fall fishing here! GREER LAKES (River; Tunnel; Bunch) – Fishing is fair at all three lakes. All three lakes were stocked last month. Boats are not launchable. HULSEY LAKE – Fishing is fair/poor for rainbow trout. Fish were last stocked in mid-May. Fish are being caught on flies, no as much on bait. LUNA LAKE – Fishing is fair. An algae bloom has developed, influencing water quality and the fishing has slowed. Fish no more than 7-10 feet down, below that, there is little to no oxygen. LYMAN LAKE – Lyman Lake State Park is open. Fishing is fair for bass, walleye, carp and catfish. Use corn or night crawlers for carp and catfish. NELSON RESERVOIR – Fishing is poor! Try fishing at the upper end of the lake. A few fish were found dead along the shores at the spillway side of the lake (lower end). This was due to low oxygen levels in this portion of the lake, which happens overnight and in the early morning. Fish here in the afternoon/evening or when sun is on the lake. EAST FORK of the BLACK RIVER – Fishing is good! Rainbow trout will be stocked this week. Fishing is fair for wild brown trout. Water levels are high due to monsoonal rains. Use caution. LITTLE COLORADO RIVER in GREER – Fishing is excellent! Rainbow trout will be stocked this week. Water levels are high due to monsoonal rains. Use caution. SHOW LOW CREEK – Fishing is excellent. Rainbow trout will be stocked this week. The road over the dam is open, but please do not park on the dam. SILVER CREEK – Fishing is excellent. Rainbow trout were stocked this week. Current regulations are catch-and-keep with bait and 6 trout daily limit apply. The upper section is closed to fishing. With the warm weather the fishing is starting to slow down but is still good early in the morning and late in the evening on Ashurst Lake, Kaibab Lake and Dogtown Lake. Folks are catching big trout on Lower Lake Mary early in the morning and late in the evening out of boats and float tubes. I had an angler tell me that he caught his limit of nice trout Saturday afternoon between 3 and 6 after a rain storm. He was using worms under a bobber and PowerBait. On Sunday folks were catching trout on worms fished about 3 feet under a bobber. The fishing was really good around the fishing dock. Boat anglers were also catching trout on lures. Folks using crappie jigs were catching crappie. One angler was doing really well up near inflow area catching crappie and bluegill on meal worms fished under a bobber. Stocked with channel catfish. Our hatchery has begun stocking small trout into Cataract Lake. These fish average about 7-8 inches. Cataract has done a good job of growing trout in the past so we are hoping these fish will be nice sized by fall. Has been stocked with channel catfish. I heard a report this weekend that folks are still catching catfish using worms or hot dogs. No new report. I have heard that folks are still catching trout off of the rocks on the opposite side of the lake from the boat ramp. I would try PowerBait fished off of the bottom. I am still hearing reports of folks catching some nice trout a Lower Lake Mary in the early morning. The difficulty is getting past the weeds. I would try fishing small crayfish imitating crankbaits or small spoons to catch brown trout. Another possible way to fish is to catch some grasshoppers around the lake and fish them on the surface in the evenings. Very few fish can resist a big fat grasshopper kicking around on the surface of a lake or stream. This is also the time of year when catfishing can be good on Kinnikinick. Blueridge Reservoir (CC Cragin) — Will not be stocked this year. Knoll Lake – Open. No report. LAKE MOHAVE –The lake level is currently 645 feet above msl. The fishing dock at Katherine’s Landing can produced some nice fish. The striper bite has returned according to reports. Near the dam lures like a Long A or a Savage Glide Swimmer are great hard baits. Down deep by the dam and above the power lines are reported as the hottest spots. Lures that mimic trout are working for stripers as well as the old tried and true anchovies. Submersible lights fished during the new moon are an effective way to catch stripers. The next new moon will be August 21st. For Largemouth Bass try spinner baits and various plastics in a purple with flakes or pumpkin color. WATSON –Try top water baits or weedless frogs for bass. Bring night crawlers if your other baits are not working. Striper slurps and boils are now available lakewide. See a rundown of what to expect in the full July 26 report from Wayne Gustaveson (www.wayneswords.com). LEES FERRY – See the full June 10 fishing report from Lees Ferry Anglers. For the first time in two years I put my boat in the water and went fishing. As most of you know I had a knee replacement and had to give it time to completely heal. So, Junior and I worked on the basics (aired up tires, charged batteries, and stuff like that for the last couple of days). We launched at approx. 5ish p.m. last night (Aug. 2). I was more concerned about making sure the bilge pump worked, motor would start, and trolling motor would get us home in a pinch. Beside some dry rot that I need to address, the boat worked perfectly. The point I’m trying to make here is to make sure and take the time to have all safety gear working before you head out here or any lake for that matter. We headed up towards the dam and drifted back to the main ramp. Junior threw a 4-inch green lizard with a chartreuse tail. I threw a super baby brush hog. We fished in everything from zero to 20 foot of water. Points, coves and the middle of coves. Before dark Junior had 6 bass in the boat. I had one sunfish and one bass. The biggest bass went about 8 inches long. We missed a lot of bites trying to figure out the bite. Honestly that was the evening bite. We did talk with the only other anglers on the lake. They said they were out there all day and caught 20 to 30 bass all in the same range we caught. We all caught out fish on plastics. I’m told there is a top-water bite going between day light and about 6 a.m. I have not heard of anybody catching crappie at night or in the day for that matter. I have heard that catfishing is decent all over the lake. Try throwing worms, hot dogs, or stink bait all over the lake. Even shore fishing sounds like it could be be good about now. So, that’s it in a nut shell. Tomorrow Junior and I are going to get an earlier start and see what we can do. Both ramps are open and work just fine. The lake elevation is about 116ish with releases of 50ish cfs releases. Between releases and evaporation were loosing a little over a foot a month. That’s typical for this time of year. So, top water in the early mornings. Training wheels at the same time. Go to plastics in about 20 feet of water midday. Towards 4-5 in the evening, throw shallow and work to 10 feet of water. That’s it. No reports of a night/day time crappie bite. Bring bug spray, sun block and lots of water. The biting flies had a field day on me yesterday. OK, more to come next week. Mark. YUMA AREA PONDS – No new reports. Catfish stockings are on hiatus for the summer. See the stocking schedule. Justin B.: Had a good day on the lake Saturday. Caught over 15 bass with the average around one pound. Caught this 4.1-pounder on a brush hog early in the morning. Water was down a few feet and clarity was not good. Can’t complain overall and can’t wait to get back on a lake this weekend.